The Ministry of Defence has awarded a £1.2BN contract for Audacious, the latest Astute Class attack submarine to be built for the Royal Navy. The contract with BAE Systems will safeguard 3,000 skilled jobs at Barrow in Cumbria and represents a significant step forward in the Astute submarine programme. Audacious is the fourth of seven Astute Class submarines being built for the Royal Navy. They are the most technologically advanced the Royal Navy has ever sent to sea and offer a step change in capability. The first two boats, Astute and Ambush, are currently undergoing sea trials to rigorously test their systems. Astute has conducted deep dive trials and successfully fired Tomahawk land attack missiles and Spearfish torpedoes. Ambush’s ability to dive and surface has been successfully tested as has her propulsion system and the third boat, Artful, is reaching the final stages of her construction at Barrow shipyard. 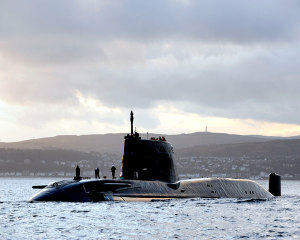 The MoD can also confirm today that a further £1.5BN has been committed to the remaining three submarines in the class. This has enabled early build work to start on boat five (Anson) and long lead items to be ordered and bought for the as yet unnamed boats six and seven. “This £1.2 billion contract marks an important step forward in the progress of the Astute programme and moves the Royal Navy closer to adding more of these highly advanced and powerful attack submarines to its fleet. “The Astute Class will become the jewel in the crown of the Royal Navy’s Submarine Service and boasts much greater firepower and more advanced sonar and communications than ever before. 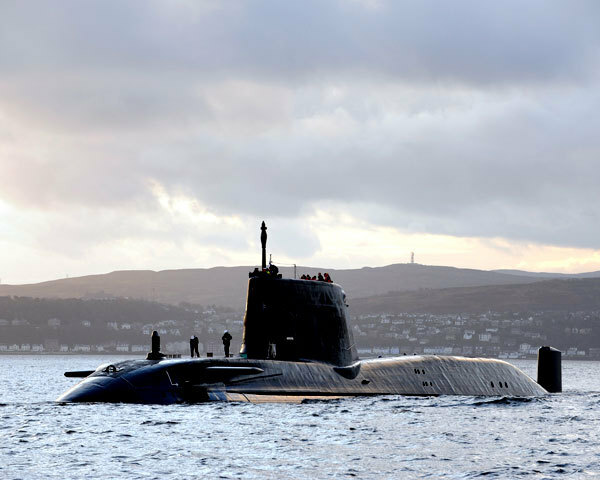 Featuring the latest nuclear-powered technology, the Astute Class never need to be refuelled and can circumnavigate the world submerged, manufacturing the crew's oxygen from seawater as they go. The 7,400 tonne Astute Class is quieter than older submarines, and can operate covertly and remain undetected despite being fifty per cent bigger than the Royal Navy’s current Trafalgar Class submarines. 1. Astute Class submarines have the capacity to carry a mix of Spearfish heavyweight torpedoes and Tomahawk land-attack cruise missiles, and can target enemy submarines, surface ships and land targets with pinpoint accuracy. They are also fitted with a world-beating sonar system. 2. Audacious is being built by BAE Systems Maritime - Submarines at Barrow-in-Furness, with hundreds of suppliers around the country contributing component parts, including Rolls-Royce, Derby (nuclear plant); Thales UK, Cheadle Heath, Templecombe and Glasgow (visual system and sonar); and Babcock, Bristol (weapon handling and discharge system). 3. From 2016 the base port of all the Royal Navy's submarines will be Her Majesty’s Naval Base Clyde. 4. The Astute class is composed of HMS Astute, Ambush, Artful, Audacious, Anson and two as yet unnamed submarines. • Boat 7 Approval currently committed £328M. • A beam of 11.2 metres. • Displaces 7,400 tonnes of seawater. • Manufactures her own oxygen from seawater as well as the crew’s drinking water. • Could theoretically remain submerged for her 25-year life, if it were not for the need to restock the crew's food supplies. 8. Of the 5,000 employees at BAE Systems’ Barrow shipyard, 3,000 are directly employed on the Astute programme.